The British Virgin Islands (BVI) are known as one of the world's top sailing destinations with more than 40 islands within an hours sail of each other . . .
One of the smallest and most popular islands to visit in the BVI chain is Jost Van Dyke. 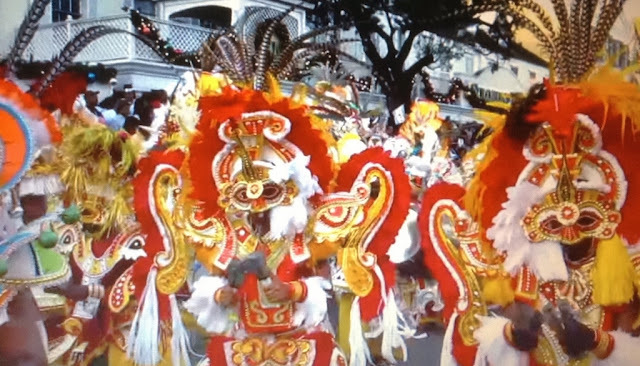 And if you are celebrating the holidays in the Virgin Islands, it's well known on Old Years Night (New Year's Eve), Foxy's Bar is the place to be for one of the most raucous parties in the Caribbean. Jost Van Dyke ( Jost is pronounced "Yoast ) is just four miles long, and is often called the "barefoot island " for its casual lifestyle, fabulous pristine beaches, clear waters and beachfront restaurants and bars. 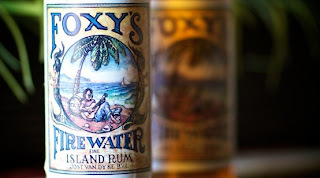 Foxy's Tamarind Bar, located in the Great Harbour, is one of the best known watering holes in the BVI chain - and also listed as one of the "best beach bars" in the Caribbean region. The bar is legendary for live bands, great food and the famous "Foxy's Firewater Rum". Don't worry about making reservations on the island, as there are few to no visitor accommodations. You can reach Jost Van Dyke by ferry service via Tortola (Capital of the British Virgin Islands), or from St. Thomas or St. John in the U.S. Virgin Islands. If by chance you miss the last ferry, no worries as one of the Old Years Night traditions at Foxy's Bar is to sleep on the beach over night. Expect to see lots of sailing vessels. BVI is known for its steady trade winds, and there are hundreds of protected bays in the channel for anchorage. Yacht and boat owners start arriving days before the Old Years celebration, and as many as 500 boats line the tiny harbor and surrounding waters. 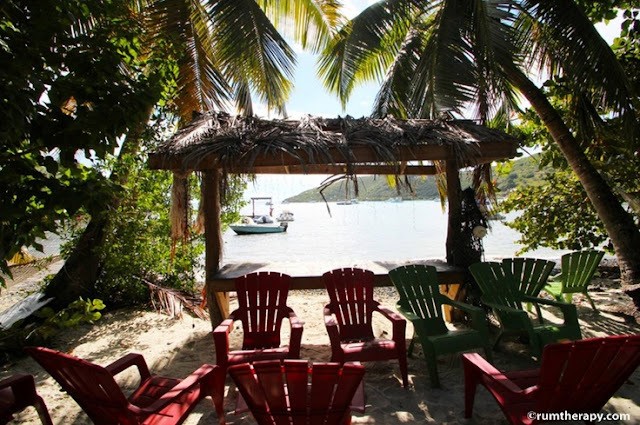 Even if you can't make it on New Year's Eve, when you visit the British Virgin Islands, make sure to put Jost Van Dyke on the list of islands to visit - and stop by Foxy's, along with all the other great beach front bars. Mix all liquid ingredients together and pour over ice in a glass. Grate fresh nutmeg on top. Use a stirrer if you want to mix the nutmeg. Add up to 3 parts rum for a stronger drink. (ˆ◡ˆ) Here's 214 more tropical drink recipes!